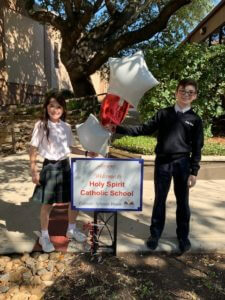 Our faculty, staff, parents & students spent last week celebrating everything & everyone that makes Holy Spirit Catholic School so special. On Saturday, January 26th, Hope for the Future hosted their annual fundraiser, the Khaki & Plaid Gala, benefiting Catholic Schools and tuition assistance for students in the Archdiocese. This year, our 4th grade parent & founder of the Ms. Tristan Foundation, Joe Byrd, was nominated for the Homecoming Court. 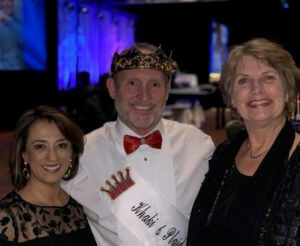 We were thrilled to be there as Joe was crowned “Homecoming King” for raising more than $168,000 for Catholic Schools in the Archdiocese of San Antonio! It was such an awesome evening for Holy Spirit and Catholic schools throughout the Archdiocese. 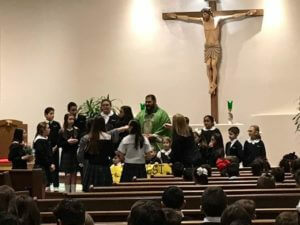 We kicked off the week at Holy Spirit with a school mass on Sunday, January 27th at 11:30 a.m. Our church was filled with Holy Spirit parents & students dressed in uniform. Fr. 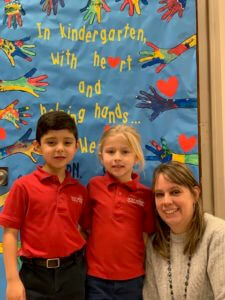 Miguel gave a funny and memorable homily about being friends with Jesus, and Mrs. Webb spoke briefly about our school. 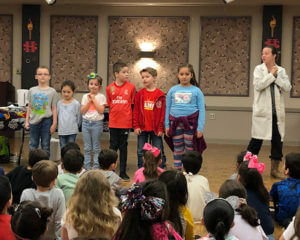 Our students were asked to come forward to be recognized at the end of Mass, and Mrs. Webb gave them a “free dress” Monday, much to their delight! After mass we hosted our first Open House of the week. By 1 p.m. on Sunday, our halls were filled with interested parents and Holy Spirit parishioners learning more about our school. 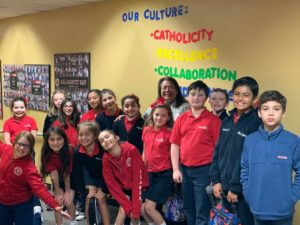 A grandmother & former Catholic School teacher from Brownsville stopped in to see our school and commented on how impressed she was by all we offer. She, along with other visiting families, enjoyed seeing our students’ artwork in the hallways, meeting our teachers, and joining our PTC for sweets & coffee in the banquet hall! Monday morning began the first of our weekday Open Houses for visitors. 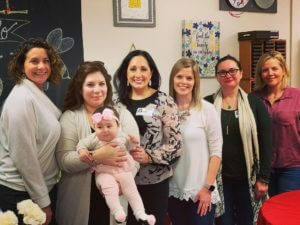 We were delighted to welcome local families, new San Antonio residents, and Holy Spirit parish families. 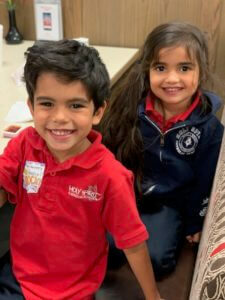 Every family had children of all ages, but they were all seeking the same kind of school for their children – one with strong academics, faith-filled days, a strong community, professional & caring teachers, and joyful childhood experiences. We are proud to offer all of those and so much more! 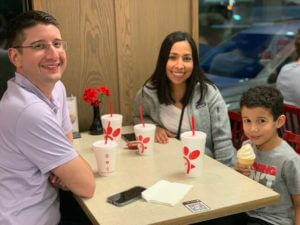 On Tuesday night we celebrated Catholic Schools Week with a Spirit Night at Chick-Fil-A! It’s always a joy to see our families eating together, kids playing, and parents visiting with each other. 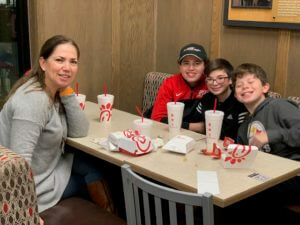 There wasn’t a dull moment, and the drive-thru & dining room were filled with Holy Spirit families all night long! 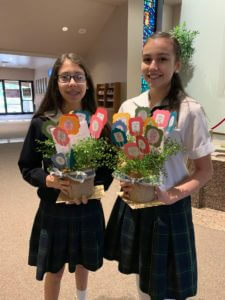 Wednesday morning at Mass, our students celebrated our Holy Spirit priests – Fr. Antonio & Fr. Miguel. 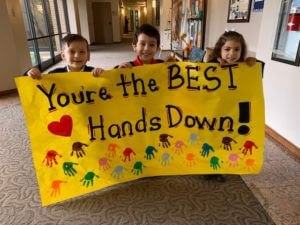 Our PK-3 students made a handmade sign, and our older students presented a blessing garden for each priest. Before our students and faculty returned to class, Mrs. Webb made a special announcement and surprised Mrs. Middleton with the special honor of being Teacher of the Year! 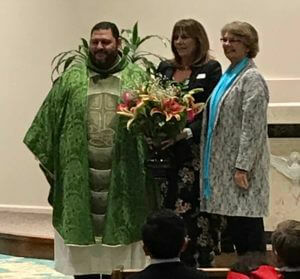 Our faculty, students, and staff roared with applause while Mrs. Middleton, one of our middle school teachers, joined Mrs. Webb and Fr. Miguel to receive a beautiful bouquet of flowers. On Wednesday afternoon, our amazing PTC & Teacher Perks committee hosted a luncheon to celebrate Teacher Appreciation Day. 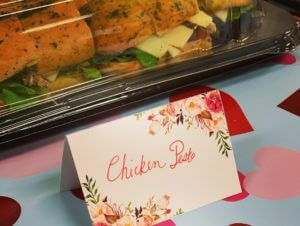 Our faculty & staff enjoyed a lovely lunch and a beautifully decorated teachers lounge. It was the perfect way for our parents & PTC to say “thank you” to our teachers who educate, care for, and love our students every day. 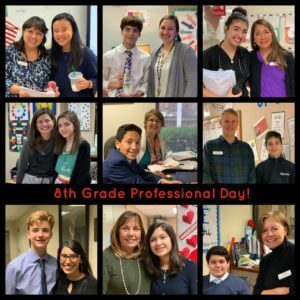 Thursday was 8th Grade Professional Day, where our 8th graders shadow Holy Spirit professional staff members and teachers. The 8th grade students learned more about their individual roles, what a typical day is like, and the challenges & rewarding moments of having a career. Everyone had a wonderful day and enjoyed the fun of having “new” teachers on campus! 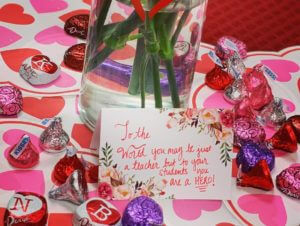 Friday was Student Appreciation Day and full of awesome fun & surprises! 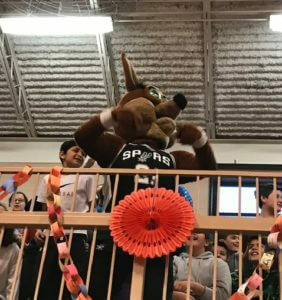 The day started with a pep rally featuring the Antonian Dancers, Providence Show Choir, HSCS cheerleaders, and the Spurs Coyote! 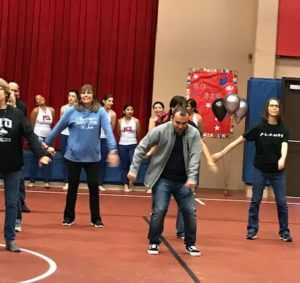 Our teachers brought back one of their smash hits of 2018, the faculty flash mob, and created a new dance to “Happy” by Pharrell Williams…complete with the floss! Seeing the teachers do the floss completely brought the house down! The rest of the day was full of childhood dreams … hour-long recess, school-wide bingo, a visit from Mad Science, and an ice cream treat! Our students were full of smiles & joy, and the day was a complete success! 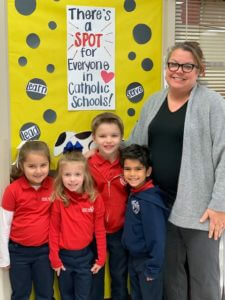 Catholic Schools Week was an awesome celebration highlighting why Holy Spirit and Catholic Schools are so special. The faith, joy, education, love & spirit that fill our hallways is second to none. We are Holy Spirit Proud!